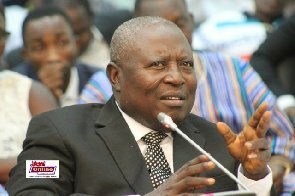 The Acting Chairman of the ruling New Patriotic Party (NPP) in the newly created Bono East region, Kwame Baffoe aka Abronye DC, has heavily decended on former President John Dramani Mahama for calling him a ‘knighted liar’ without common sense who goes about peddling all manner of falsehood to ruin his reputation. According to Abronye, he was expecting the former President to speak to the matter and rebut the fact that, his wife Lordina Mahama has no connection or whatsoever with Joyce Dzidzor Mensah and not insulting him. “I would like to state clearly that, the insults from the office of the former President will not stop me from exposing the wrong and smelling deeds during his administration, because I am a citizen not a spectator,” he stated. A statement from the office of John Mahama and signed by his Special Aide, Joyce Bawah Mogtari, described Abronye as a ‘knighted liar’ without common sense who goes about peddling all manner of falsehood to ruin Mr. Mahama’s reputation. 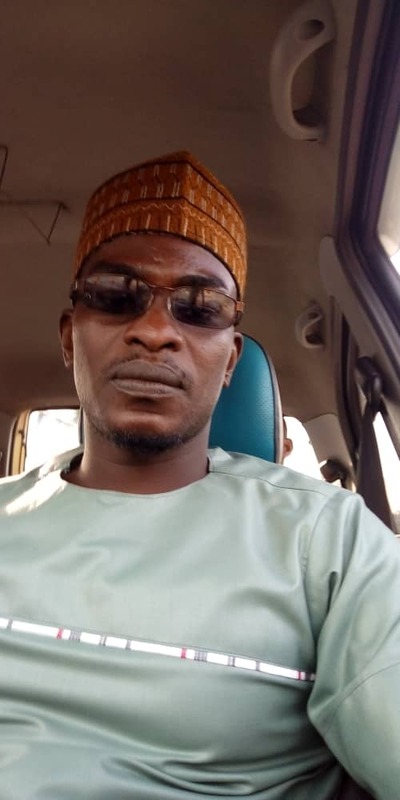 “It is a sad testimony, that a serial fibster such as Kwame Baffoe occupies a position of trust such as a Regional Vice Chairman of the ruling party. Such persons debase our political system and are responsible for the continued erosion of public credibility in our democratic dispensation,” Joyce Bawah Mogtari wrote on her facebook page. In response Abronye has issued a response to that effect. “As a well meaning former president, I was anticipating that, John Mahama through his villain shill would dare and challenge Joyce Dzidzor Mensah to mention names of his former representatives and appointees who aided her alongside his wife,” he said. I have read with shock and regret a letter signed by one Joyce Bawa (aide to the former president) which has been captioned by Ghanaweb.com with the above title. Although I was surprised at the tone and intent of the letter, I think my worst fears have been confirmed by the office of the former president that, they still hold no respect for the good people of Ghana because not too long ago, he described Ghanaians as people with short memories and on one occasion, Mahama further described Ashanti’s as ungrateful people and grumbles because according to him, even if he uses gold to construct their roads, they will still not appreciate. To begin with, I find the press statement from the office of the former president as primitive and simply out of context because the statement failed to address the substance of what I said but rather intended to calumniate my personality. I was expecting the former president to speak to the matter and rebut the fact that, his wife Lordina Mahama has no connection or whatsoever with Joyce Dzidzor Mensah. Because as it stands now, all fundamentals indicate clearly that, Lordina Mahama instigated and aided Joyce Dzidzor Mensah to present fraudulent documents to the AIDs Commission for her to be appointed as AIDs ambassador even though she did not fall within the prerequisites of the commission. Also, Joyce Dzidzor herself has publicly stated that, some ministers of the John Mahama administration also played and extensive role together with Lordina to aid her obtain the ambassadorial position even though she knew she was not qualified. As a well meaning former president, I was anticipating that, John Mahama through his villain shill would dare and challenge Joyce Dzidzor Mensah to mention names of his former representatives and appointees who aided her alongside his wife. If the former president thinks he is clean and not associated with the fraudulent activities of Joyce Dzidzor Mensah, he should just produce her for prosecution and stop shielding her because I am optimistic the CID will soon arrest her from her John Mahama paid secret hideout and further prosecute her and all her accomplice. Also, the distorted statement in the first paragraph noted among other things that, I have decided to tarnish the reputation of the former president. Just incase the former president has forgotten, his own console to Dubia (Ambassador Osei) has said countless time that, the former president has no reputation. And for this reason, I kwame Abronye have no business in destroying the reputation of the former president because he has none. Attached is the report or letter of the Ghana AIDs Commission to prove that, I didn’t lie with the fact that, the lady deceived Ghanaians with fake documentations. Finally, I would like to state clearly that, the insults from the office of the former president will not stop me from exposing the wrong and smelling deeds during his administration because I am a citizen not spectator.